We love the Sun. Rain and overcast sky bring depressing tones in our lives, so surround yourself with the warm and bright colors. Color your walls in yellow. Yellow is the color of sunshine and clear days. Yellow is the color of joy. The yellow color improves mood and promotes optimism. Chromotherapy is treatment with the paints. According to experts in chromotherapy the therapeutic use of yellow color has a positive effect on the nervous system, stimulates creativity, digestion and elimination of harmful substances from the body. People who love yellow are full of energy, lively are actively involved in what is happening around them, are spontaneous, love to explore and face the challenges. Pastel shades of yellow are a great choice for a dark floor, basement rooms, narrow corridors and small hallway. 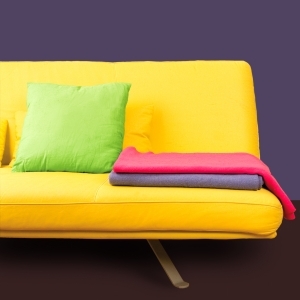 Bright yellow color is a good choice for the bedroom and living room. Yellow color has a positive effect on children's development. In combination with the blue option for walls in children's rooms. For creative work of children preferred the combination of yellow and purple. Light blue and bright yellow are the colors of the sky and the sun and are a great choice for decorating offices. Yellow stimulates the intellect and the blue communication. Yellow color brings joy. Yellow and pink shades are perfect for artistic interiors. If you want to further alleviate the energy of yellow, turn and neutral shades, especially white. Yellow color brings joy into your life. Golden tones stimulate the brain, making the decorative details in those tones and this is good option for rooms for learning and creative expression. Details that you can use are the stars on a dark blue ceiling or walls in the nursery, pillows on the sofa or the pattern on the wallpaper in the living room or gilded frame for the photo. According to Feng Sui, the color of the sun creates harmony in all directions of movement of energy. Vibrant shades of yellow increases energy levels, and bright shades bring peace and good choice of recreational facilities. If you soon intended to paint your home, then the think about the yellow color. How to quickly fresh your home? You are so tired of minuses on your bank cards and do not want to watch the master at home. Below are some great ideas for those who want to quickly and easily refresh your living space. The freshness and bright colors bring a good mood. You must have countless jars in your home. Indoor flowers are offered in a variety of colors and many shades so that they are easy to fit into your existing environment. Flowers need not be the same color as the walls. Potted plants are a good choice. If you have a dilemma about putting up curtains, try one that will not completely cover the window, and at the same time give him warmth. White would not look out of the colors we currently have in the room, just to refresh them. If the colors are mostly warm (brown, yellow or red) to use the 'creamy' variant like ivory. Prevail if the cooler shades (blue or green) opt for pure white. The wall in which you watch most often, the one behind the TV or in front of the bed, both in a pastel version of the current colors in the room. You no drastic changes bring additional light into your living space. If such a color quickly get bored, you can always go back to the old version. Today's color palette for the walls very luxurious and are not very expensive, so you're free to play to their hearts' content. Make a tablecloth or pillow with floral pattern. Your living room will get a very cheerful look. See the area in which you live. The fact is that it contains a myriad of unnecessary items that distract and gather dust. Leave a few decorations that will come to the fore. Glass and plastic items can easily stain. Colorful objects place where the sun's rays fall. A transparent glass in which you pour the liquid into the colors is equally effective. Templates for drawing can be found in almost every store. Unleash your imagination and have fun. When your template is no longer popular, brush in hand in a done deal! Sometimes it seems that the area in which you live is cluttered with unnecessary things. 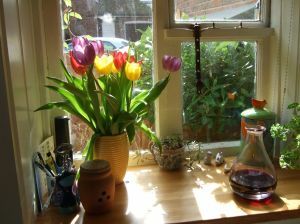 No matter how much you try, you agree, relocated, clean, clutter is simply irrepressible. The solution is very simple: "Take unnecessary things." It is sometimes difficult to separate some things, but when you really look at it, you realize that you have not used for several years. Probably never, and will not! Props for hobbies some of which have already long since given up. Promotional mugs and glasses that came free with the meal. Loads of tram and bus tickets, tickets for concerts, movies and plays which you do not remember. Old newspapers and magazines that you have not touched in months. VHS tapes, cassettes and DVDs that have not seen for years. Almost empty carton of ice cream in the freezer. Tainted shirts that have since school. Hackneyed towel for years instead of using blankets in the bathroom. Treasury of plastic bags that are stored in the cupboard under the sink. Unidentified foods in the refrigerator or freezer, wrapped in aluminum foil. All half-filled notebooks, notebooks, diaries, and notes that you have no idea what they mean. Everything that you brought home from their parents solely because of guilt. Office supplies that you never use, including pens that do not write. Cheap jewelry that is already a few years into a ball that is impossible to disentangle. Plastic containers that have lost the cover. Empty bottles of alcohol that you keep for years. Various cables and wires that are never used. Inventories of sauces that you never opened. Good luck and boldly go! Your apartment will be a few decisive moves surely see through! How colors in your home affect you? The psychology of color is nowadays a very modern art. Color strongly influences human emotions, behavior, decision making and mood. The right choice of color affects the human perception of space and can create the illusion of space and awaken some hidden desires and passions. The following story about the colors and the way the colors in your home affect your life. The yellow color is warm and welcoming, great for rooms that are coming to the bones. 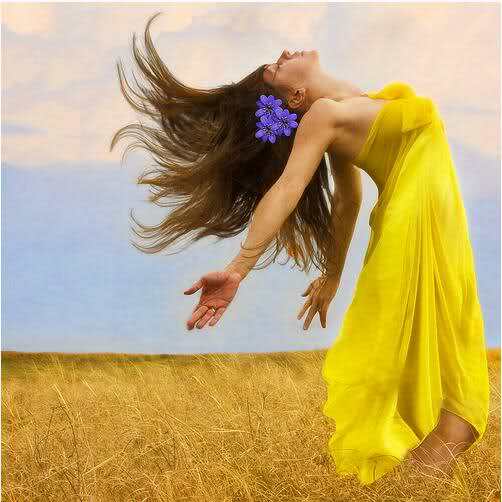 Yellow color metabolism and brings new energy. The brown color is strongly disagrees with small rooms. Red is my favorite color temperamental people who know what they want out of life. This color stimulates the appetite and stimulate the conversation, so it is a good choice for kitchens and dining rooms. If you have red walls too allowed for your standards then in white or beige kitchen insert the red boxes, but be careful how much you eat. If you are having problems with excess weight in the room where you eat, avoid red. Kitchen is the place of our memories and love when it smells like childhood memories. Space for relaxation, translated bathroom and bedroom should reflect the colors that bring a sense of calm. Good choices are light blue, green and purple. Green may be the best choice for the bedroom. It has to sleep like a baby. The blue color stimulates productivity, so it is a great choice for your living room. Living room to relax both in a slight shade of lavender. Children's rooms can be colorful, but the girls still prefer pink and boys are blue. Listen to your child's desires. 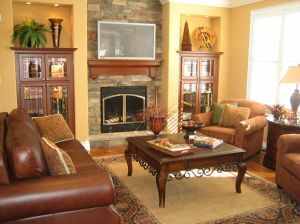 For a warm, comfortable and cozy atmosphere paint your living room with warm shades of yellow, orange or light brown. Yellow is a good option for the hall. when leaving the apartment in a good mood. Rooms that are cold warm paint colors. warm rooms cool blue or green colors. Bright colors visually increase the space, it reduces dark. Light colors reflect more light, and create an additional feeling of freshness and space. Your apartment is your favorite place in the world and needs to look the way you want it. Do not be afraid of the wrong choices, play with colors. One wall colored with a dark color. Adjacent walls paint bright colors. Do not overdo it with the blue, as it creates a sense of claustrophobia. Do not be afraid of color. Black color can be amazing detail in each apartment. Black lamp or black bags are a good choice. Awaken your imagination! your bathroom does not have to be white or light blue. Have I finally make their choice. It's all a matter of your own taste and everyone from time to time before the change, even though many of us do not want to admit. Have a nice day in your new home! How many times is the area in which you live have done too little? Did you know that a small apartment can be overwhelming, but if you have a little imagination. Below are a few small tricks that do not require a lot of money, but they are certainly a big hit for those who want their apartment to breathe new life and a new spell in your life. The first thing you need to do, today, to get rid of excess stuff. Make a general cleaning and remove all items that are not used for a long time, but in vain collect dust. Sometimes for the years we keep various little things that have no any purpose, they are not even in the category of memory. I think that right now is the right time to throw them away. Mirrors are the perfect visual tools that will make your space bigger. Yes, it is in terms of an optical illusion, but really phenomenal optical illusion. Go to the flea market, where you can surely find a nice and cheap mirrors. Furniture which incorporates the mirrors are also a good choice. The mirror that you buy at a flea market very easily with the help of varnish and paint can transform into a new piece of furniture, which will have a personal touch, and where neighbors will envy. In addition, the fact is that you will enjoy as you create your own hands. Large corner sofa is great for lounging and welcome friends, but in a small space corner sofa is something unacceptable. When buying furniture you have to think of the size of the room. The best decision you can make is to create a custom-made furniture. The walls are also a great place where you can hide some things from the floor and thus relieving the new space. The amazing effects that make a little rearranging existing furniture. Consider that a piece of furniture can be separated into components, and then rearrange the pieces around the apartment. Previously a plan, and be sure to measure the space where you want to create a new schedule. When you start moving things will surely get some new ideas, which are of course always welcome. Dark and cool colors are the worst possible choice for a small apartment. Try a bright, warm colors which create a place, and bring joy and warmth and visually enhance your apartment. Dark colors are elegant but small apartment will surely make it even smaller, and it's certainly not what you want. Warehouse or goods storage is crucial in small apartments. If not, then consider decorative baskets or shelves where you can put away things that do not have a place, or simply do not know where to stand. Bring your creativity and let your imagination run wild, enter serenity in your life, you just care what the neighbors say. Why your wall must be white? It can be colorful and cheerful, just like the next day that will live in their new old home. Good luck my dear friends! How quickly and inexpensively give your home a new flavor? If you are sick of one and the same scene every day and if you live in a rented apartment, I think the following tips for small changes, very good for you. Wall stickers are great, and they are not so terribly expensive. Walk to the store with the material for painting, you'll likely find beautiful wall stickers. You can order them via the Internet. There are plenty of sites that sell great decorations for the walls. Choose colors that you love. Your favorite room with the stickers on the wall will have a completely new dimension. And best of all, when you get bored easily you can be replaced. On the walls you can put cloth. Buy a color and pattern that you want and live the transformation of your favorite hiding place. New monochrome or colorful pillows are a great idea for a new beginning in your life. Enter the serenity to your life. Large colorful pillows are my favorite option. Go to the market with second-hand goods, and try to slip some sweet carpet. Even when you rent your carpet can take on a new place to live. Colorful rug brings joy into the new space and exudes warmth. Choose a carpet that is easy to maintain. Do not forget to images and photos, but first check the structure of the walls due to the need for drilling. Small battery drill is a great thing that you can give to yourself. Pictures and photos of each space gives a stamp of personality and a reminder of better times. How to achieve warmth in your living space? The answer is simple. Little things that make life beautiful. When decorating your apartment much more likely to think about colors, materials, lighting and layout of the space, but rare are those who are thinking about small details. Precisely, these small details give character and warmth the most beautiful place in the world to call home. There are a number of details with which you can completely transform your living space. When you go shopping every day by the way try to plan the purchase of new, small decorative items for your home. In some countries there are specialized shops. The choice details that you buy depends on your imagination and creativity and the time you have available. Painted cups, bowls or trays made of glass, ceramic, crystal give the identity of the home, but also complement the festive atmosphere at the required times. Choose colors and motifs that will fit into your interior. Delicate tones with shades of gold or silver, are an attractive detail for every festive occasion that requires glitter and shine. Selection motives is unlimited. It is possible to paint a motive for a special occasion. These matters are its simplicity and beauty, decorate each policy, and complemented by quality lighting will create a little exhibition room in your home.Maintenance of these items is very easy, wash at temperatures up to 60 ° C, depending on the color, technique and execution time. If you are a nature lover, we propose image of dried flowers and dried fruit. Such images it is desirable to put the interior, dominated by natural materials, because you will not go wrong in choosing the color or image size. 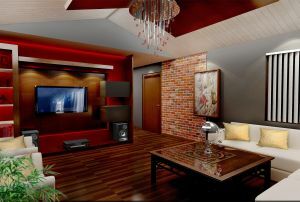 Natural environment that already exists, it will be enriched with stylish complementary detail. If you opt for something less permanent detail, but in harmony with nature, we propose arrangements of dried and live flowers arranged in a glass bowl unusual shape. Flower arrangements will make festive and enjoyable home, and their amendment or amendments can often change the atmosphere in the space. Can be placed on a wall, floor, table, depending on the size and the arrangement and colors can be accommodated within the interior or to use as contrast accents that will bring dynamism and freshness to your space. And remember, whatever you do do with love. Aluminum foil can be very useful! What is dangerous in your home? Blog is not intended for commercial purposes, I use it exclusively for personal training. Tema Vodeni žig. Pokreće Blogger. 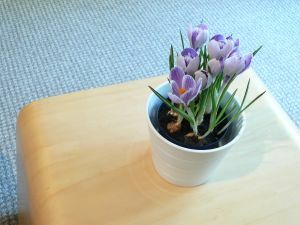 The privacy of our visitors to http://andmyhappyhome.blogspot.com/ is important to us. We also use third party advertisements http://andmyhappyhome.blogspot.com/ to support our site. Some of these advertisers may use technology such as cookies and web beacons when they advertise on our site, which will also send these advertisers (such as Google through the Google AdSense program) information including your IP address, your ISP , the browser you used to visit our site, and in some cases, whether you have Flash installed. This is generally used for geotargeting purposes (showing New York real estate ads to someone in New York, for example) or showing certain ads based on specific sites visited (such as showing cooking ads to someone who frequents cooking sites). Blog http://andmyhappyhome.blogspot.com/ does not accept any liability for damages and failures resulting from the use of the information contained. All posts are using on their own responsibility and risk. About questions, suggestions or information from posts consult an expert.